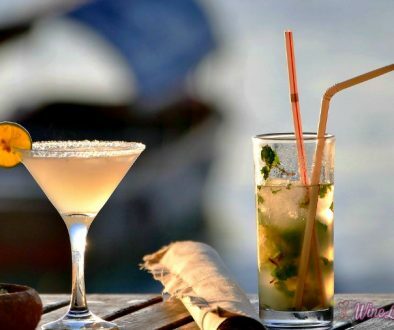 Get into the spirit with these handcrafted recipes from East Coast mixologists. Liven up Halloween bashes and fall get-togethers with handcrafted recipes for Halloween cocktails featuring pumpkins, apples + seasonal spices and more. How do you mix your potion? “Double, double toil and trouble; Fire burn and caldron bubble. Cool it with a baboon’s blood, Then the charm is firm and good. Thanks to these New York and New Jersey mixologists, your potion will be better than a witches’ brew. The following 5 BOO-zy recipes for autumn and Halloween cocktails will wow your ghost and goblin guests. 5 Recipes for Halloween Cocktails — and for Fall! Fall is one of my favorite holidays when I enjoy baking. Pairing the smell of baking pumpkin bread with a Smashing Pumpkin Martini – priceless! Read on for 5 recipes for Halloween Cocktails — which are also perfect to serve in the fall. 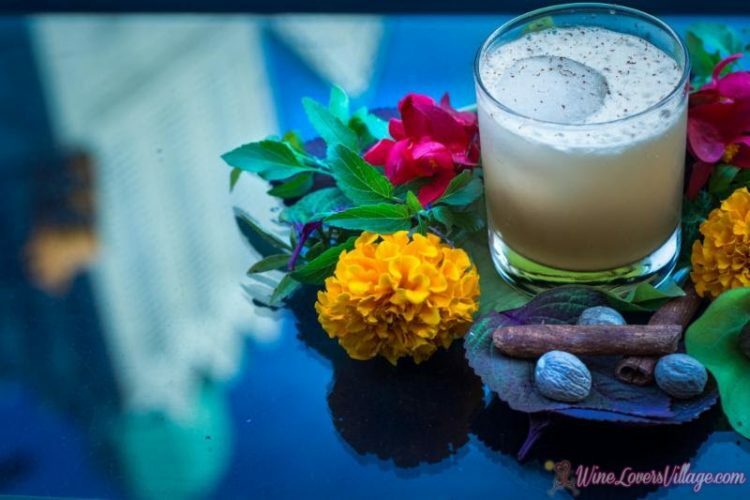 Autumn Leaves, 1 of 5 recipes for Halloween cocktails. The perfect pairing with fall baking is sipping on the Smashing Pumpkin Martini Cocktail. DIRECTIONS: Add pumpkin puree, Nocello liqueur and vanilla vodka to a cocktail shaker. Add ice and shake. In a small bowl, mix cinnamon with granulated sugar and place on a plate, wet the rim of the glass with any citrus slice available (or simply water). Pour shaker contents into martini glass. Garnish with cinnamon stick. DIRECTIONS: Slice off stem and top of sugar pumpkin. Place on cutting board sliced side down and cut in half. Scoop out insides and discard. Brush with olive oil and place on a lined cookie sheet. Bake at 350 degrees for 40 minutes until soft. When done, take off skin and reserve flesh in a bowl. Sprinkle 1 teaspoon of pumpkin pie spice over pumpkin flesh. Puree with a stick blender or food processor. Will keep for 2 days or place in ice cube trays and freeze for up to 6 months. Apple cider and bourbon are the ingredients for Stone Fence, 1 of 5 fall and Halloween Cocktail recipes. DIRECTIONS: Build in rocks glass filled with ice. 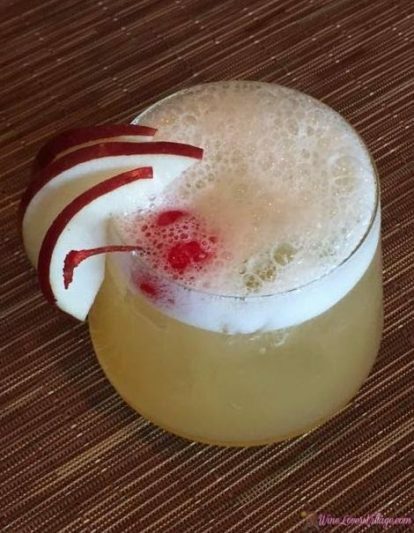 Garnish with apple slice and bourbon cherries. 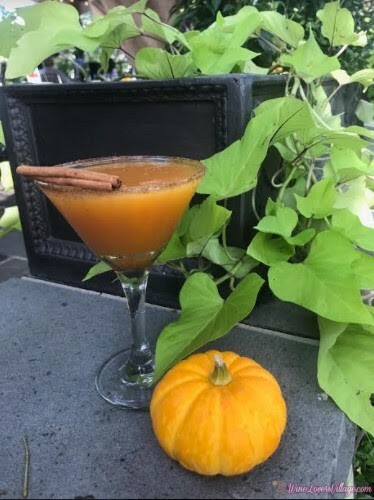 This fall-themed cocktail recipe is courtesy of Restaurant Serenade, Chatham, NJ. 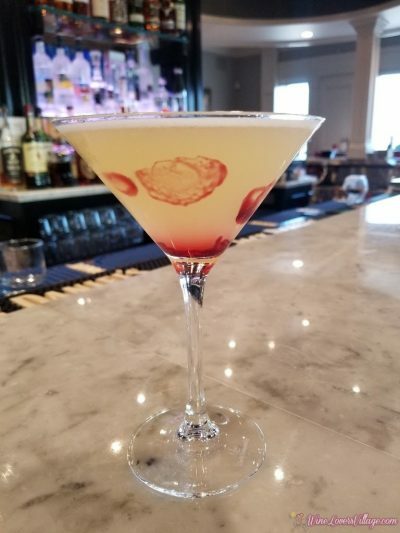 Liven up your Halloween with this Boo-zy Vampire Kiss cocktail from Table 7 American Bistro. DIRECTIONS: Add Stoli Blueberry, Pineapple and Sour to a shaker with ice. Shake and strain into a chilled martini. Top off with pineapple and Raspberry Drizzle! 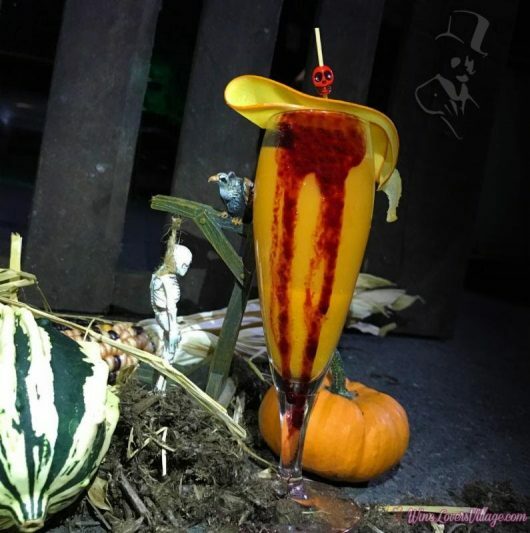 A dash of pumpkin juice brings fall into this Halloween themed Velvet Vampire cocktail. DIRECTIONS: Combine all ingredients in shaker with ice. Shake. Serve in chilled glass with ice. 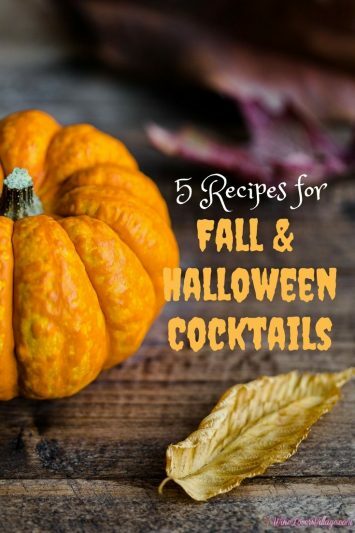 What is your favorite fall or Halloween themed cocktail recipe? Share with us in the comments below.